After a couple of months of fairly ordinary reading I seemed to hit my stride again in April, in quality at least if not quantity. 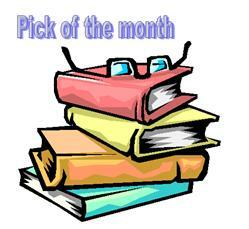 As I gushed about on the weekend my book of the month is Australian author Virginia Duigan’s THE PRECIPICE. It’s a fantastic tale about an elderly woman who is almost as unlike the proverbial little old lady as it is possible for anyone to be. I fell in love with her in the same gushing way that my 14-year old self fell for Fitzwilliam Darcy (I was a 14 year old girl, it’s in the rule book). This is my second 5-star read for the year and I am recommending it to all. I’m now up to 7 terrific books by Australian women and I listed them all in a recent post. I’m so impressed with the quality and variety of books I’ve read for this challenge, and am amazed at the variety all the participants have been reading (677 at the time of posting). 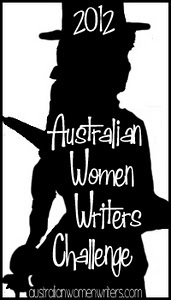 Australian women writers rock! I posted about this year’s International Dagger Award for crime fiction translated into English. The shortlist will be announced at the end of May but I have speculated already about its makeup. I also discussed the iPad and web apps that enhance my reading life. On reflection I suspect this makes me look just a wee bit obsessed. Oh well. I introduced a new feature here at the blog called book versus adaptation (hopefully the title is self explanatory). I’m aiming to write one of these a month (though I’m not going to kill myself over it) as a justification for having gone a little bit mad buying DVDs and downloaded movies lately. I started out with FIELD OF BLOOD, a book written by Scottish author Denise Mina who was also credited as helping with the TV movie made of the book last year. I’m still trying to read a few more titles eligible for the above-mentioned International Dagger award and I have to read William Landay’s DEFENDING JACOB for book club. Plus I have new books by 3 great Aussie women writers that I want to get to. And tonight I have downloaded an audio book I’ve been looking forward to for months – FUN HOUSE is the new John Ceepak novel written by Chris Grabenstein and narrated by Jeff Woodman. That friends is my definition of happiness. What about you…was April a good reading month? Did you have a favourite book? Or did you acquire anything you’re itching to read? Any issue you need to get off your chest? Those were great choices as well Bernadette. I’ve just added Virginia Duigan’s THE PRECIPICE to my priority list. Glad you are back on track reading wise. Bernadette – I’m so glad you found some good things to read this month. Always great after a slump :-). And I really need to read The Precipice. Soon. Thanks, Bernadette. I too have The Precipice in my sights now. I read some good books in April (thanks partly to you) and was unable to choose a “best”. I liked your book/adaptation feature and look forward to more, so long as you don’t do The Killing TV/book 😉 Keep up the posts on all these topics, they make great reading. I am particularly pleased about the Aussie women but it also makes me annoyed about rights restrictions and so on, but that’s a rant we’ve had before (and probably will again). Glad you got back into your stride Bernadette. I completely agree about the Australian Women Writers Challenge. What an exciting lot there is out there. Yes, the Aussie women’s writers’ challenge. I’m now reading The Brotherhood and have two other books by women from Oz on my TBR pile. But the task is to figure out how to get other books from there, too. Book Depository has The Precipice and I”ll look for others at Amazon, too. My library seems to have forgotten about Aussie women writers. I’ll have to nudge them. I didn’t read many books in April, but read a good non-mystery The Barbarian Nurseries, set in California. Now I have to hunt for The Field of Blood TV adaptation. That’s my definition of happiness, since I love Denise Mina’s books, except for two, one a stand-alone and the first Alex Morrow. Great list, one that strains my credit card, which is now even more strained after reading Petrona’s “best of April” books. Hope they do order one and that you like it shelleyrae – look forward to seeing what you think.